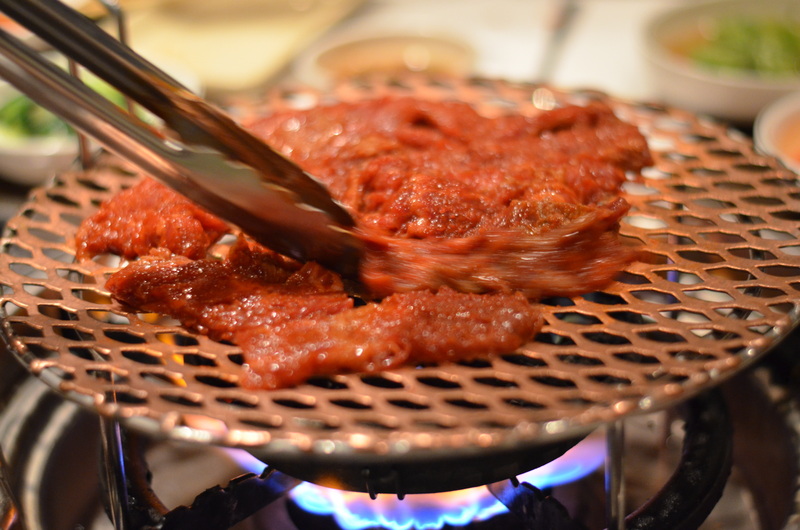 When my sister was visiting New York, we dropped by Don’s Bogam for what we hoped would be some really good Korean barbecue. I forget where exactly I’d heard of the place, but I think it was on a mention in passing on Floyd Cardoz’s Instagram. I’ll take my chances in following the leads of chefs and sommeliers on where to eat. Anytime. Don’s didn’t disappoint. 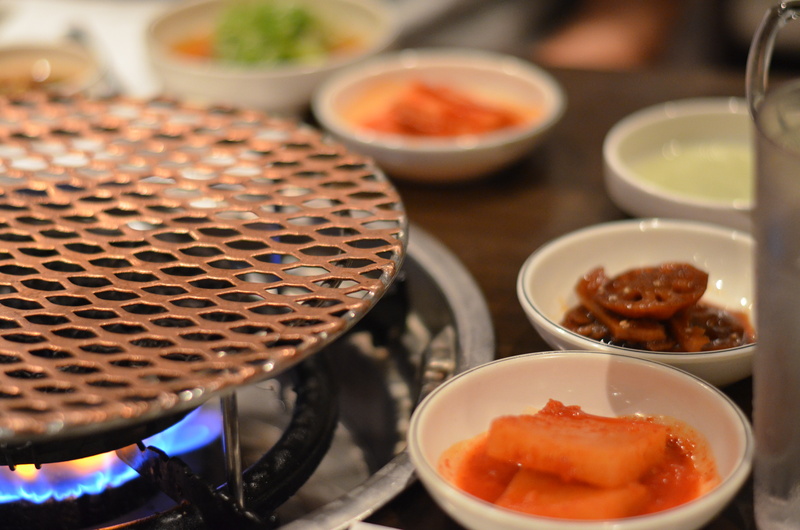 A clean, gas flame and copper grill, with some banchan to nibble on. Nothing about the banchan was that notable, but the soy-braised lotus roots were pretty tasty. 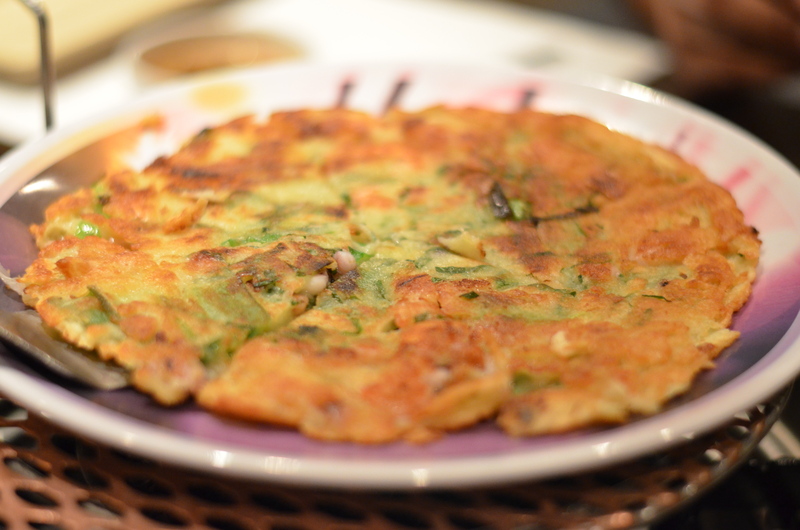 We ordered a seafood scallion pancake to share, as a starter. Decent. 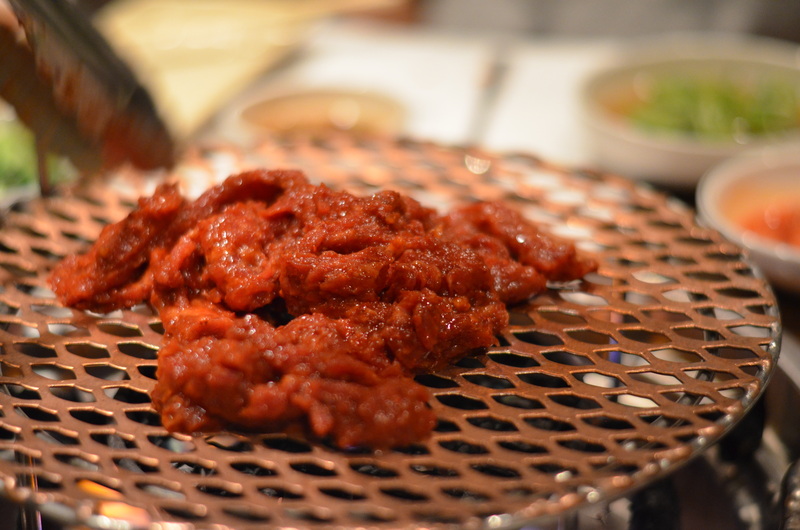 For meats, we ordered the maeun galbi, a marinated short rib in the chef’s housemade spicy sauce. Some really top-quality meat, marbled and sliced at a respectable thickness, holding up nicely to the licks of the blue flame. 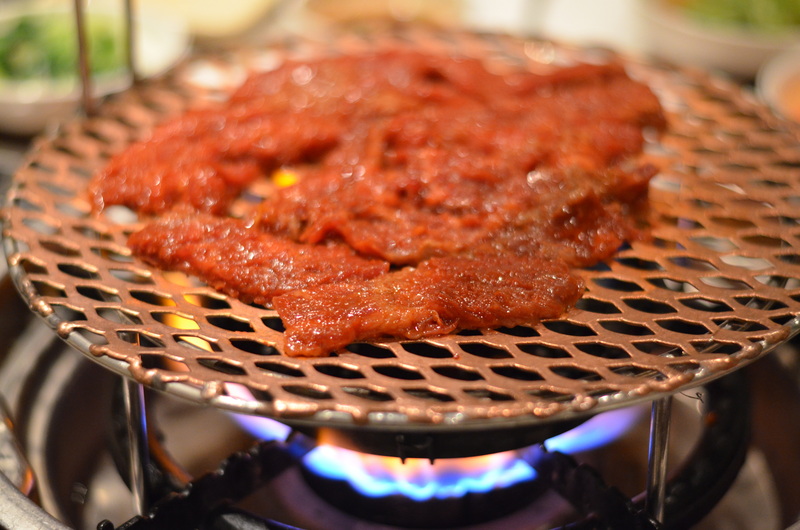 Fatty and chewy and full of flavor (wasn’t actually very spicy, but also not as sweet as galbi typically is). The ventilation tube is also positioned strategically right over the grill, so there’s not this overabundance of smoke. 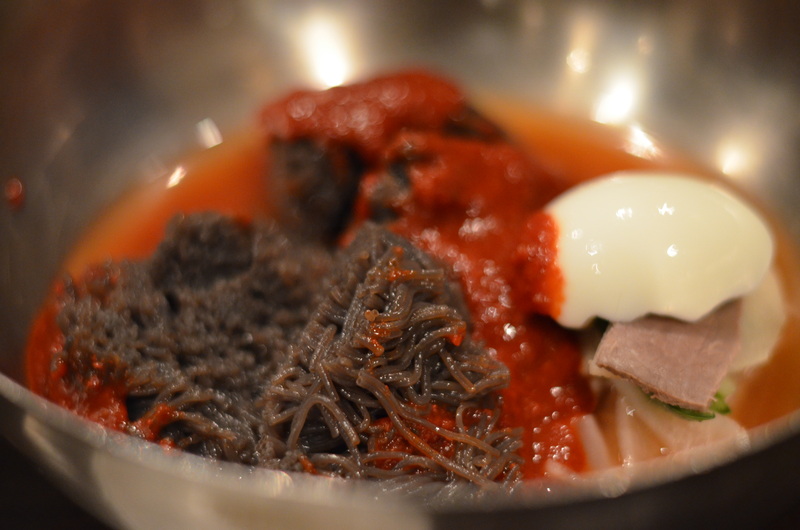 Between the galbi and the bulgogi, we split a bowl of spicy bibim-naengmyun, cold arrowroot starch noodles with cold broth, spicy gochujang-based chili sauce, and a hardboiled egg. 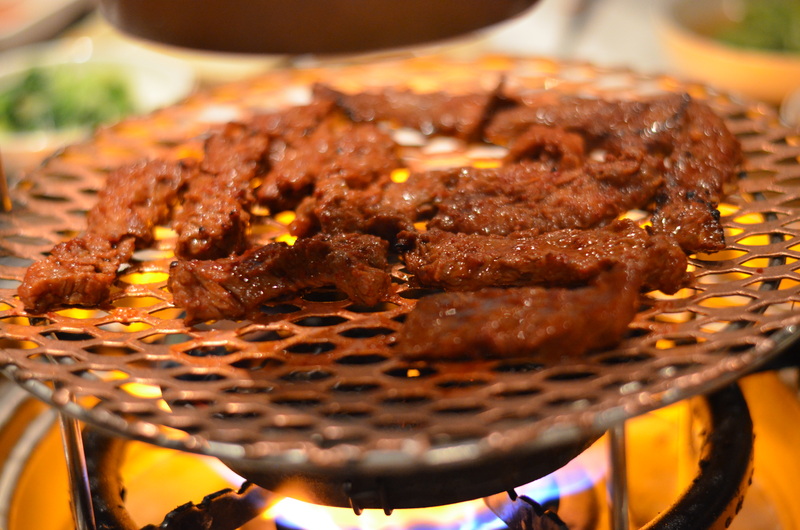 We finished with a steaming pan of bulgogi, aromatic and sweet, cooked also atop the gas grill flame. 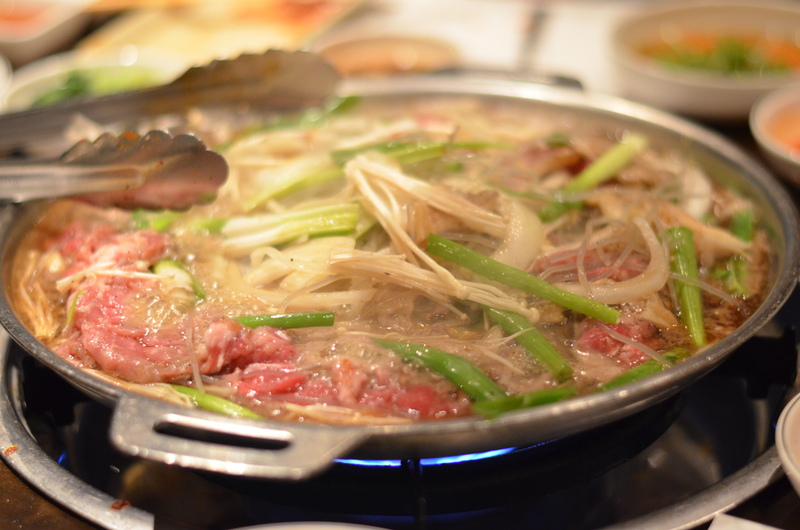 Generous amounts of halved green onions and enoki mushrooms steeped and cooked in sweet soy-sauce and onion. 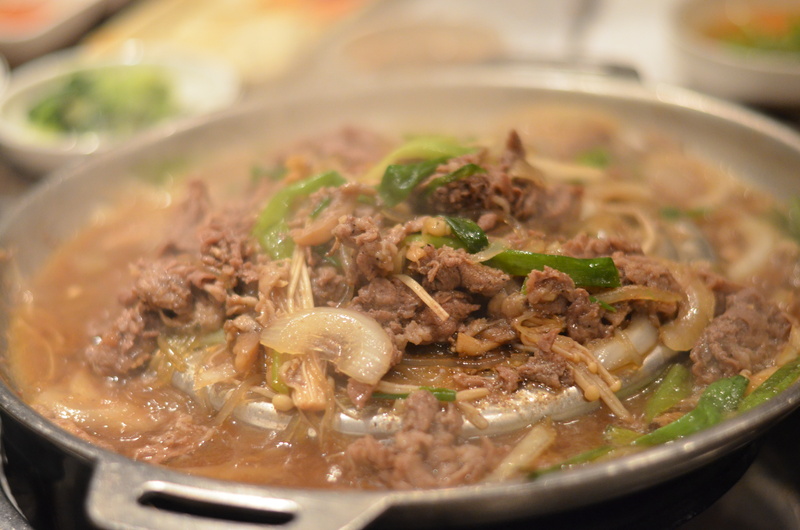 Really good stuff, on par with some of the better meals that Myra and I had had in Seoul, back when we ate nothing but barbecue for about four straight days. Cordial, attentive service. 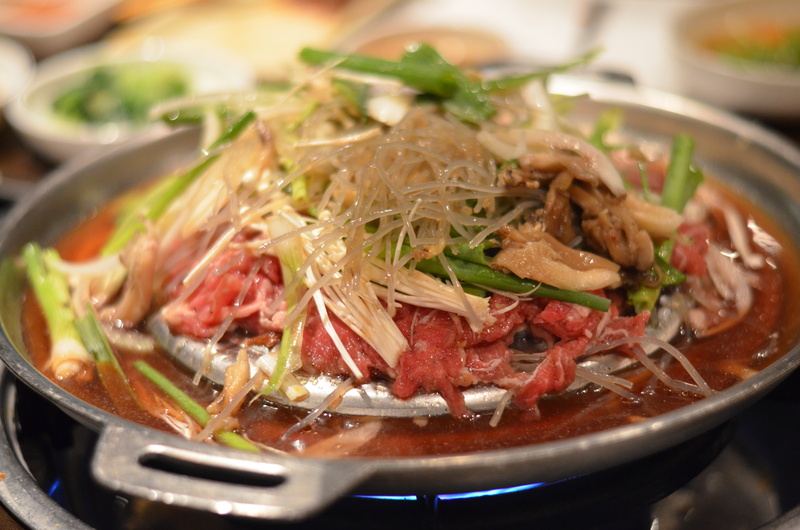 But mostly, really delicious meat.